this is a Pegasi Mission! 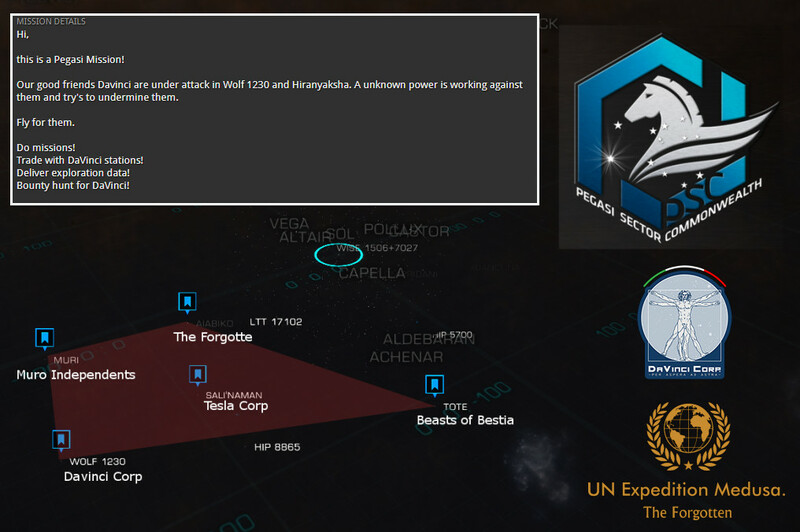 Our good friends Davinci are under attack in Wolf 1230 and Hiranyaksha. A unknown power is working against them and try's to undermine them.